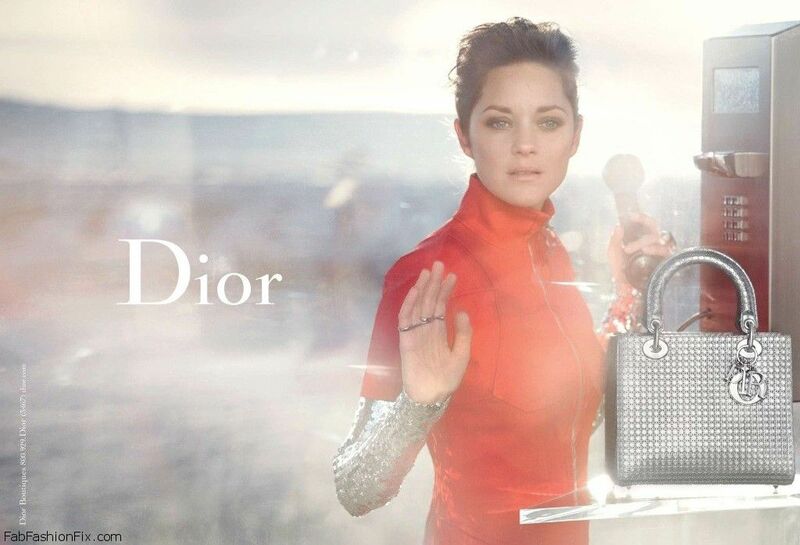 The collaboration between French luxury fashion house Dior and French screen siren Marion Cotillard continues again in the new Dior “Lady Dior” Bag Pre-Fall 2015 campaign. Photographed under the lens of legendary Peter Lindbergh in a solar plant in California, the 39-year-old Dior muse posed in a series of futuristic looks and carrying the new collection of Lady Dior bags with lots of metallic colors, sequins and silver embellishments. This is an iconic bag for a look worthy of a true lady – it features a woven “cannage'” design found found on the Napoleon III chairs that Christian Dior loved so dearly. In case you have missed it, see the Marion Cotillard in Lady Dior Resort 2014 campaign.